Word of mouth is still on top of marketing. It’s always great when another person talks about your business and refer clients to you. But have you thought, that you can actually affect and improve your word of mouth strategy and get more referrals? 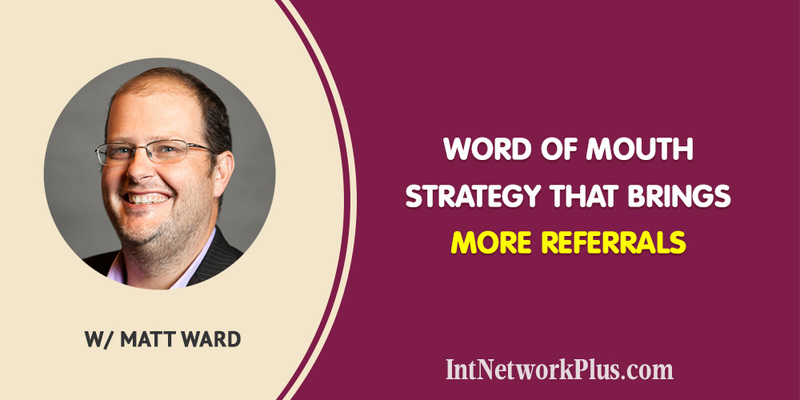 In this episode, I talk with Matt Ward about word of mouth strategy that brings more referrals. 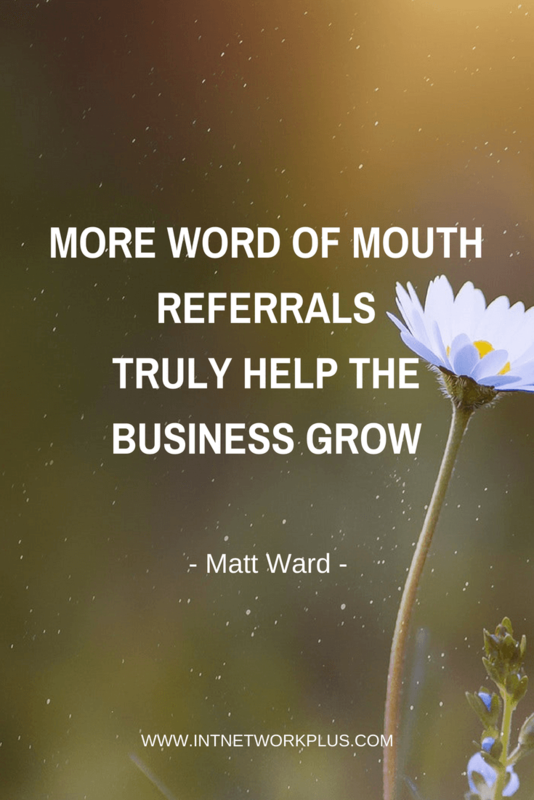 Matt is passionate about helping employees, managers, and business owners move their business and personal life to the next level through word of mouth referrals. He’s the author of Making Your Website Effective…as well as his pending book, set for release in the Fall of 2018, CarePackage: How to Create More Word of Mouth Referrals. Step 1: Take the test at breakthrough-champion.com/care to understand how much you care about people now and what to improve. 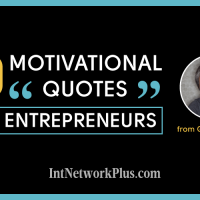 Matt, please share with us your entrepreneurial story. I started a website agency in 2002, part-time, and took it full-time in 2005. Then, I started hiring a team of people. I recently sold it in May 2018 for seven figures. Pretty happy guy. Why did you sell it, if you’ve been there for so long time? My passion all along has been to help small business owners. I absolutely love the dream that small business owners have. What I loved most about what I was doing with the agency… I didn’t do any website work. I did no programming for the last probably 10 years of owning the company. I hired people to do that. What I did was the business development, the sales, the speaking, and I really got latched onto the speaking idea. For the last probably five years I’ve been doing a lot of public speaking in order to get the word out on the agency and help small business owners grow their business through the right website strategies. As I was doing that, I was helping small groups of people, but primarily I was helping one company at a time get a better website. 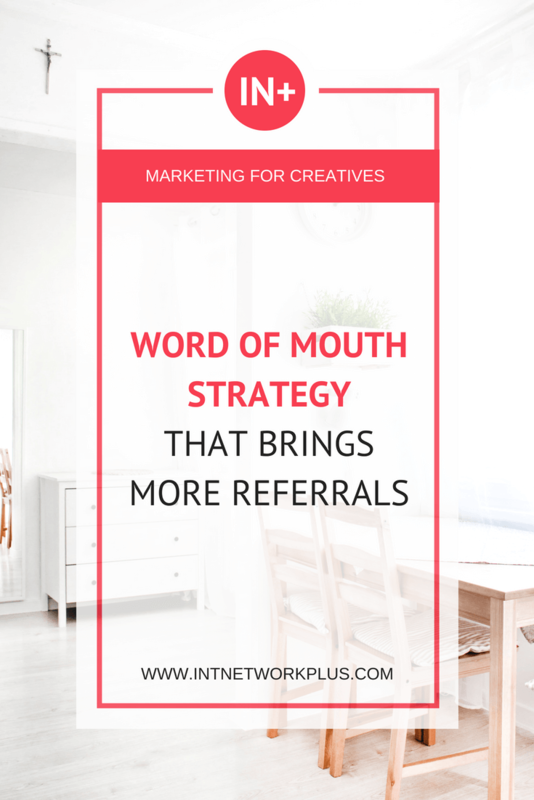 I made the switch because I feel like I can impact more people and share the knowledge that I gained on how to get more word of mouth referrals in your business, which really truly helps the business grow. That’s interesting that you focus on word of mouth strategy. My business is actually built mainly on word of mouth and referral clients. But, it surprised me that you can put it in the strategy. How can you plan that? When you walk into a room, or you speak to any small business owner, and you say, “What’s the number one way you get business? What’s the number one way people find you?”, the answer is always word of mouth. If you follow that up with, “How do you increase the number of referrals you get?”, they have no idea because they don’t know that there’s a specific strategy that you can implore to do this. A lot of people think, “I’ll just ask for more referrals.” But that never works. When you ask for referrals, one of two things happens. Either first, the person says, “Oh, sure Marina. I’ll refer somebody to you. Let me think, let me think, let me think – Oh, I’ll send you Joe. Joe needs help.” Well, Joe didn’t raise his hand and say he needed help from someone that Matt knew, and as such, that’s Marina. Instead, Joe is a new business. Matt says, “Oh, I’ll get a new business. I’ll send him over to Marina.” You closing that deal and Joe becoming a client of yours is very unlikely. A very low percentage – maybe 5% or lower. It’s not a hot referral. It’s a lead at best. The second answer they’ll give you is, “Marina, that’s a great question. I would refer somebody. Let me think about who that is.” Then they never call you back with a name. They just appeased you. In either case, they told you, “Yes, I’ll do it.” Why do they do that? Because it’s a very uncomfortable situation and they weren’t expecting the question. They were put on the spot. They’re uncomfortable now, so they just give you an answer. Instead, you need a strategy that makes sense. A strategy that builds the type of clients that you truly, truly want. As creatives, as people that create things, it’s so empowerful for creatives to create the type of customers that they want. 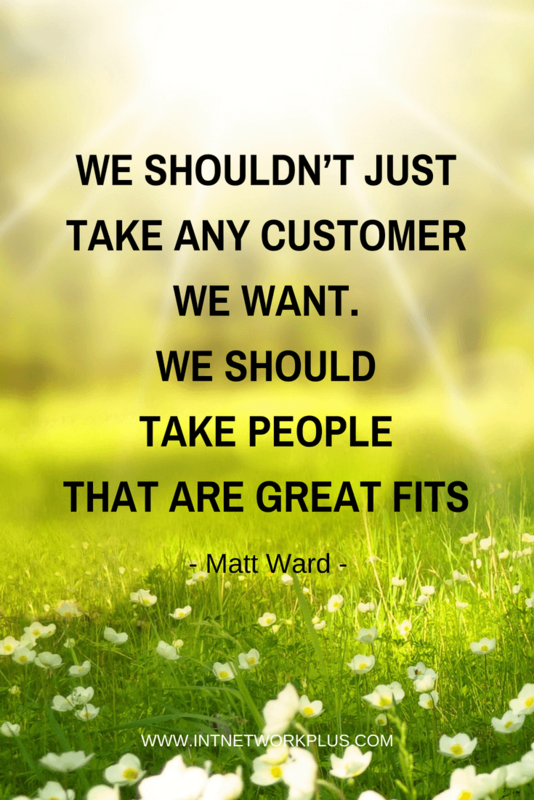 I believe that we shouldn’t just take any customer we want. We should take people that are great fits. For many years, it’s been well known in the world that people do business with who they know, like and trust. I believe that for many many years. Now, throughout my web agency, I realized there’s one more thing missing from that. I believe that people do business with people who they know, like, trust AND care about. I want to care about your success. That’s why I refer people to you. I want to care about my referral who’s coming to you. I want to make sure they’re taken care of. I care about their success. Why don’t we just stop doing business with everybody and anybody, and start doing business with people we truly care about. The type of people that we can walk down the hallway and give a high-five to. That makes us smile. That are never bad clients. That don’t call us at all hours of the day and night. Or, worrying about nickel-and-diming us as solo entrepreneurs. That’s the worst type of client. I think that’s the type of strategy people need to put in place. You mentioned cold referrals and hot referrals. What are the signs of the cold referrals and what are the signs of the hot referrals? I think it’s imperative that creatives in general and small business owners as a whole build a referral network that builds people that are champions of their business. The way you do that is you build deep, meaningful, intentional, relationships with people you care about. My process is four steps. I call them pillars. The way we go about doing business or building relationships with others. The first one is to overdeliver. You must overdeliver in your service. Overdeliver, by definition, comes from a transaction. That is a client of some regard. There was some money that exchanged hands and you were asked to deliver a certain creative thing for your client. You need to find a way to exceed their expectations. Is that in the design? Is that in the delivery? I don’t know because for each business it’s going to be different. Nonetheless, it might be in a time frame, it might be in communication, it might be in the quality, it might be in all of those. You have to find a way to overdeliver, so that’s number one. Number two is you have to listen. Listening is something that is very common in this world, but increasingly it’s used less and less every day. When I talk about listening, I’m talking about listening not just with your ears, but also with your eyes. In this world of social media, there’s so much that’s cluttered out in the world, whether it’s Facebook or Twitter or Whatsapp or whatever – it doesn’t matter what it is. There’s so much noise. In the Facebook world, what happens in Facebook on somebody’s birthday is all their friends will wish them ‘Happy Birthday’ on their wall. It’ll be 200-250 people literally posting on their wall ‘Happy Birthday’. Yet if we changed our birthday on Facebook to another day of the year, the same 250 people would actually do the same thing. They don’t really know your birthday, Marina. If you want to cut through the noise and listen, you do things where you send them a card based on the fact that their birthday is coming up. That cuts through the noise, and you’re caring about them. If you know that, for instance, you look at my website, you’ll see on one of my pages on my website that I have one of those side-by-side ATVs. It’s something I drive in the woods, it’s what I do for a hobby. You can listen with your eyes by seeing on my website that I’m publicly professing my love for this hobby. We can have a conversation about that and I would get excited. I would love to tell stories about how I drive through the state of Maine, and New Hampshire, at 40 miles an hour on these trails in the woods. It’s just fun. That’s how you listen. That’s the second pillar. The third pillar is surprise. How do you effectively show up when people least expect you to? A card in the mail is a surprise. If you’re listening to somebody and they write a blog like my friend did, and she professed her love for chocolate-covered bacon, you find chocolate-covered bacon and you ship it to her house. She’s completely surprised, and I don’t ship her chocolate-covered bacon and include my business card, because that’s self-serving. I’m building relationships – deep, meaningful relationships with people. That’s how you surprise people that way. Surprise them by picking up the phone, because no one does that anymore. Send a personal video through a text message or Whatsapp or Facebook or whatever. The fourth thing is non-self-serving acts. Non-self-serving acts are ways in which you provide or do something for someone else, where there is no benefit or gain to you. One example would be mailing out a book. If you’re an author, you don’t mail out your own book; you mail out somebody else’s book. If you’re a creative, and you’re helping a business owner grow their business, maybe you end up having a conversation about business management and get on the topic of the book The E-Myth, which is about working on your business, not in your business. And they show interest in that. Well, then you go to Amazon, you buy the book, ship it to yourself, you write in the cover a note to Marina and then you mail the book to Marina. That’s a non-self-serving act and I do that with a number of people. I have probably at least a half-dozen books on my bookshelf right now. I’ve got eight copies of Never Eat Alone by Keith Ferrazzi, which is a fantastic book about building relationships. I’ve got three copies of Unthink by Eric Wahl, which is about being creative and stepping out of the box (for you creatives, that would be a great book). I’ve got two copies of Steal the Show by Michael Port, which is how to perform speeches in a better way. I’ve got a number of different books on my bookshelf that I ship to people. It’s because I care about them being the best at who they are. If you show up, that’s the four pillars. If you show up in all kinds of different ways in people’s lives, you’re going to be top-of-mind. 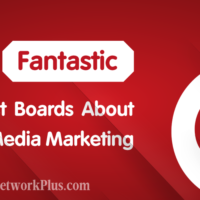 The reason any marketer or advertiser will tell you to spend money on marketing and advertising is so that you can be top-of-mind when your prospects are looking for someone. Wouldn’t you just rather be top-of-mind to people who already know that you exist and trust you? They know, like, trust you and now they care about you? Those referrals are going to be very strong. If you’re a brand-new business, you’re not going to get word of mouth referrals right off the bat. This takes a long time to build, but the last four years of me owning my website agency, we never did a single stitch of paid advertisement. I have 35 partners, people that I consider partners that we would pay a referral fee to. I nurtured those relationships over time. They were primarily IT people that fix computers, and people would call them to build a website and they said, “We don’t do that. Here, call in concert”. What I would do is I would make sure I was constantly showing up for them. If you do that once a month, if you interact on LinkedIn once a month, if you send a card once every two months or three months to say, “Hey, just checking in, here’s just a note.” Happy Summer, Happy Winter, or whatever. Happy Birthday, Happy Anniversary at your company, Congratulations on your Open House, Congratulations on your business move – whatever it is. Maybe they might win a big deal and they post about it or they tell you about it. Find ways to cut through the noise – that’s how you show up. There’re so many personal connections that you mentioned. When do you actually make the sale? 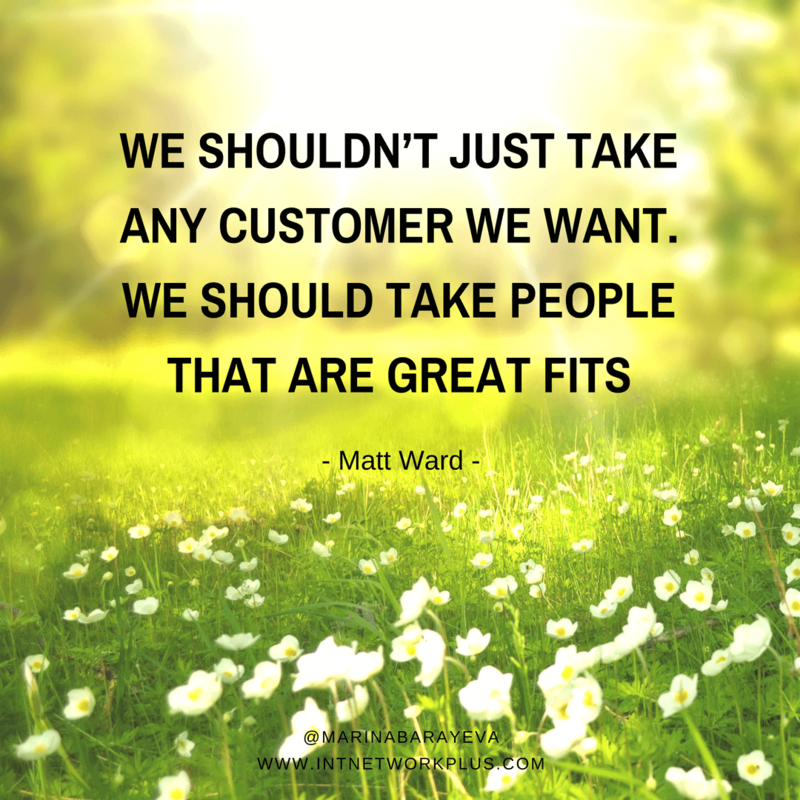 Do people refer them to you, and then you sell the service? Or your partner does half of the work explaining your service? When is the sale? I would never have the partner explain the service. Ever. I would simply have the referring person validate. In no matter what business you’re in, you don’t want them to sell it. That’s generally not the best idea and they generally don’t get the most value from the customer from a financial standpoint. They also can’t communicate the value back on your business as well. They’re just somebody who’s referring. You want them to clarify the referral to ensure that they are willing to take your phone call so that’s step one. Step two, depending on the level, is you want to ensure that they are willing to buy. That’s not always something you would do because they might not be in that mode. I had a conversation recently with somebody. I referred a friend to another colleague, and the friend was looking for some speaker support type of stuff. The colleague had a product that was ideal. Now I made it very clear in the email, that not only did I tell him the cost, but there’s an expectation that he’s intending to buy. I’m setting that up for the sale. You don’t always do that. It depends on the level of the relationship. There are times when I’m referred people to connect and I have no idea about their willingness to buy. I haven’t qualified that, but I have qualified the fact that they are willing to take the phone call. At that point, it’s up to the person you’re referring to, to make the sale. I do think that the more you spend in what I ‘teeing up the referral’, the more likely it is that the person will make the sale. No, that’s not a referral! I have no idea if they want a website at the time. Right now, I have people that say, “Oh, this person really wants to grow their referral business, that’s a referral for me.” No, that’s not a referral for me. 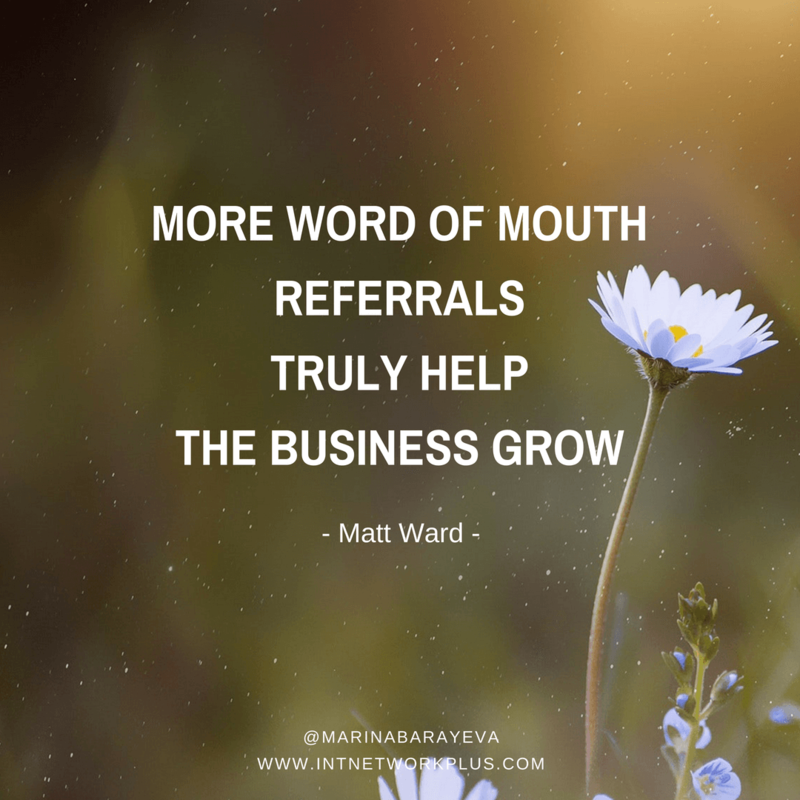 A referral for me nowadays is a conference that needs a speaker around word of mouth referrals, or somebody that wants to hire a consultant about helping them grow word of mouth referrals. Those are very clear distinctions. It’s not just somebody who’s struggling to get word of mouth referrals. Because somebody that’s struggling might not have the desire to fix it. They might not have the means or the money to fix it. We need to make sure that our partners… we’re training them to tee it up properly and use the right language. I know that you spoke with Jeffrey Shaw on your podcast about Lingo. He wrote a great book about how to speak the language of your customers. When you’re using his practice of making sure you’re speaking the right language, you need to make sure that your partners are also speaking that language so you’re explaining that to them. You’re giving them basic little wordings that they can use to tee up these emails for you. Those are ideal. It took a while to figure out who is the ideal referral source. The thing is, you have to track this. You have to track this. Now, one of the best ways I have found to track, especially for creatives this would be good too. A lot of people like to track these things in QuickBooks or CRM systems (customer relationship management systems). We did that at the agency, but I found what I think is a better tool that’s not so data-driven – it’s mind mapping. There’s a product out there, it’s free, it’s called coggle.it. You can get this for free. The basic level for free. You create a mind map of your connections and where they came from. Then you start spinning off those connections. So, if you went to a networking event, let’s say you went to a chamber event. You go to a chamber and you meet four people at the chamber. You put the chamber on the coggle.it mind map and then you put those four people off that chamber. Then as those four people start referring you, you start to see what comes back. That’s what I did, and that’s how I found the IT business worked well for referrals into websites. I thought business coaches would work well but we always struggled at that. I thought accountants might work well. We always struggled at that as well, getting those folks. I don’t know why. I think from an accountant level you would think they’re looking at how can I save you taxes, how can I help your business grow. You think it would be an ideal fit. But I think it’s just that they’re talking more about the financial numbers than they are necessarily about the business plan. From the coaching standpoint, we got one or two referrals from coaches, but I think the coaching was more about the leadership side of stuff perhaps than the actual execution. The website kind of fell on the execution side. The IT was perfect for us. Anytime I walked into a networking room at any event… If I met you in a room, Marina, and we were shaking hands and talking about your business, first of all I would make it about you. I would understand your business. The next thing I would do when it came my turn to speak, is I would talk to you about who you know because I’m not so sure you would be a great referral partner. You might be a person to buy a website from me at the time, but I don’t need that. What I needed was referral partners. I can get new clients anywhere. What I can’t get, and what’s harder to get, are the people that refer me lots of business. I would always focus on that. That’s what I think people should focus on when they focus on when they go to do networking. They should focus on who they’re going to meet. You have to track this stuff. I like to track it visually so I can see, but you’ve got to track it however works for you. So you would go to different networking events particularly looking for people who can refer you clients? We found that was a big thing in our industry – a lot of web people don’t respond for whatever reason. 65% of our clients were coming to us because they couldn’t get ahold of their current web guy. So, we made it a point to make sure we call people back. Once we filled that void, all the IT people start referring us. Now, if you have 40 clients, 40 partners, and they refer you just one referral a year, and you close 75% of that, that’s 32 new websites. That’s more than enough – that’s more than you can probably handle. My company was only doing 36 new websites a year. We didn’t need to do more than three a month and the ones that weren’t brought to us by our partners were brought to us by our existing client base. It wasn’t hard to do. Of your partner network, you’re still going to have people that refer you more than others, so I say one on average. There’s always some people that don’t refer you any, and then there’s some that refer you two or three. It’s your job to continue to nurture these relationships. I would spend all my free time focusing on how I can connect with these folks. I mean know them. In one case, I was so close to one guy that he asked me to be a groomsman in his wedding. We became friends. This is the type of stuff I’m talking about, how you care about people. I would take these people out on my ATV. I’m not talking about just finding anybody to be a partner. Anybody can do that, that’s not hard. You can run ads for it, whatever. I’m talking about finding people that you truly care about that you want to spend time with when you’re not at work because that’s who you want referring you and that’s who you want to be referring back, the other way. That’s what makes it so much fun and exciting and lights me up. That’s why I get up every day. Because of the relationships. What about if people send you clients, send you referrals and this is not the right fit for you and they send you people again and this is again not a right fit for you? Maybe they need another service or maybe they don’t have enough money for your service. There’re two things I would do. First off, I would always make sure that the person they sent me got to the right person. That’s the first thing you have to do. If the person is not a good fit for you, you have to help them find the right fit. No exceptions. You cannot let that fall on the floor because your person who referred you will not be happy with you. You need to overdeliver and make sure that they find the right fit. That’s step one. Step two – you always need to circle back with your partners. They need updates on what’s going on. When you sign a client, they need to know. When the client didn’t sign, they need to know. You need to have a conversation why. It might be money. In some cases, the referring partner won’t have any idea. I had one situation – we always require that you host the website with us when we build the website. I had one situation where a partner referred us somebody. Nothing changed. He did not sign with us because he did not want a monthly service contract. I made sure I updated the partner on that. They need to know. It’s not the partners’ job to figure that out. But it is our job to make sure that we educating them along the way and filling in all the gaps. Either way, in that scenario, I think I would still have wanted the referral if they said no because I might be able to talk about the value. That goes to the point we talked about earlier, which is the value that comes back to ultimately to what value can you add to the customer. Because again, we don’t want our partners making the sale. That’s the key. At the end of the day, Marina, what do you feel like the results would be if you develop your own personal care package? Pretty good, right? 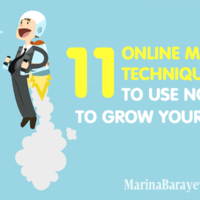 Just imagine if you had 12 people consistently sending you referrals, what that would be like. That’s ultimately what I do. I help people understand the value behind these referrals. Whether it’s a partner network, or whether it’s just one person, or whether it’s building relationships with like-minded people – doing business with people you love and care about is just so much fun. 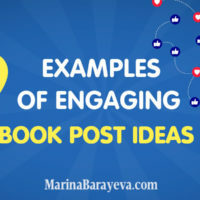 You’ve got to make sure too that you’re thanking people for their time, their effort, their focus – the things that they do for you that may not be hugely significant, but if you send them a handwritten card, it will feel dramatically significant to them. Think about how you feel when you go to the mailbox and you get a handwritten card. Exactly, because nobody does it. You talk a lot about partners; what about the clients? Would you educate your clients somehow? Or are there any ways to pursue them sending you referrals? Yes, I think that the key with the clients – you need to be careful about that… The client spent money with you. To turn them into a referral source is somewhat unethical, if that’s your intention. It’s a different story if the client refers you another prospect, and when they don’t buy, then you have an opportunity to educate your client as to why they didn’t buy. It’s important again to close that feedback loop to ensure that they are consistently being updated about the information. However, the only way I would proactively make clients partners is if they fit into that realm of ‘can they consistently refer me more business?’. 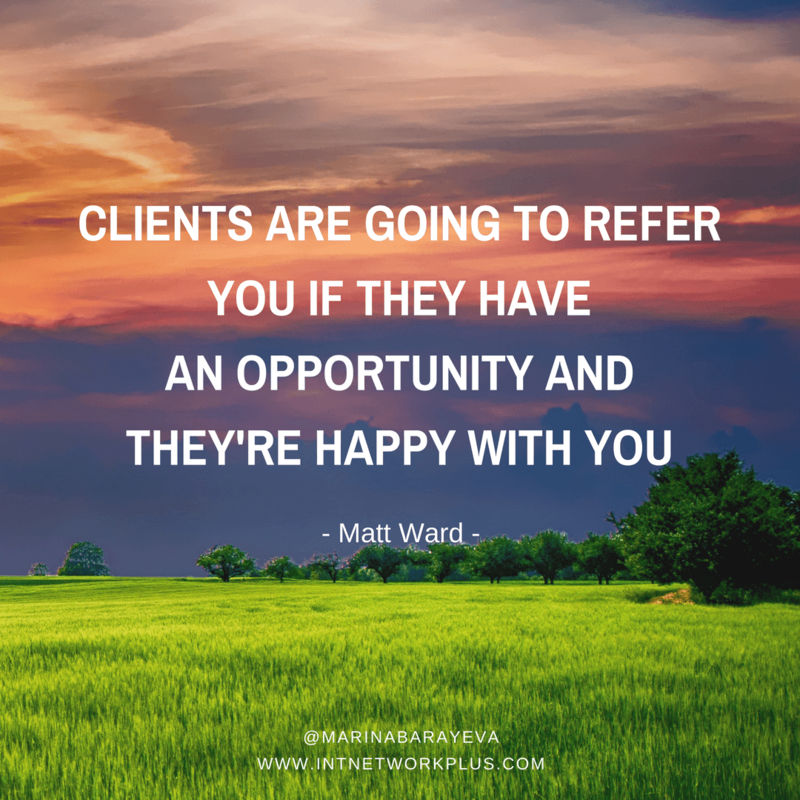 The problem with going after clients as referral sources and asking for referrals, is that oftentimes they can’t refer you more than one person. 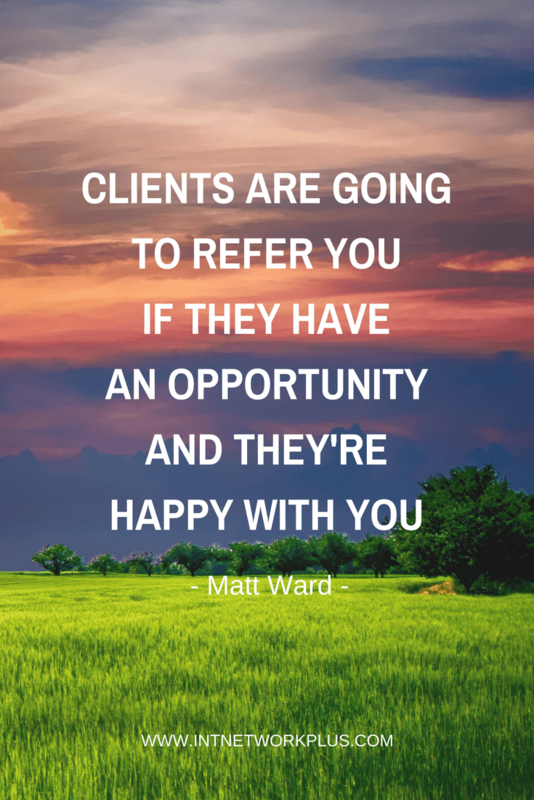 Additionally, clients are always going to refer you if they have an opportunity and they’re happy with you. But they’re not going to refer you if you have a contest or if you ask them, because the opportunity hasn’t presented itself. The way you ask for a referral is just by being present. You send cards to your clients. You send gifts to your clients. Pay more attention to them. That’s great, Matt. Could you please share with our listeners three steps that they can take to improve their word of mouth strategy and possibly get the referrals within the next month. Something they can do in the next 30 days – I’m going to give you three things you can do. The first thing is you want to take the care assessment. You can put that in the show notes. If they go to my website breakthrough-champion.com/care or they can click on the red button, it says ‘TAKE THE CARING ASSESSMENT’. It’s a free assessment tool to understand how much you care about other people. So take the care assessment, you’ll get a score, and then you can try and improve your score over time. That’s step one – understand how much you care about others. Where you are now. That’s step one. Step two – write a handwritten card. Whether that’s a ‘Thank You’ card or just a simple ‘Touching Base’ card, ‘Checking In’ card, write a simple card and mail it out today. The third step is to pick up the phone and call one contact. I want you to do that tomorrow. You call the contact on the phone and you have a conversation. Eventually, they will turn that question around and ask you what’s going on in your life, and that’s the opportunity where you can share that. To follow up on that call that you make tomorrow, the next day after that call, you will send them a thank you card thanking them for their time. That cuts through the noise, like you were talking about. They will be surprised. If you don’t have their address, when you’re on the phone with them, ask them for it, or go to their website. It’s probably on there. Take the caring assessment to understand where you are now and how much you care now. Send a thank you card out to somebody today. Call somebody on the phone tomorrow, and then follow up with a card. Those three things alone will get you moving in the right direction for caring about others and creating a word of mouth referral system that will work in your business. Fantastic, Matt. Thank you so much. Please share with us a little more how can we connect with you and learn more about your stuff. Sure, my website is breakthrough-champion.com. I’m on Facebook over at Breakthrough Champion. 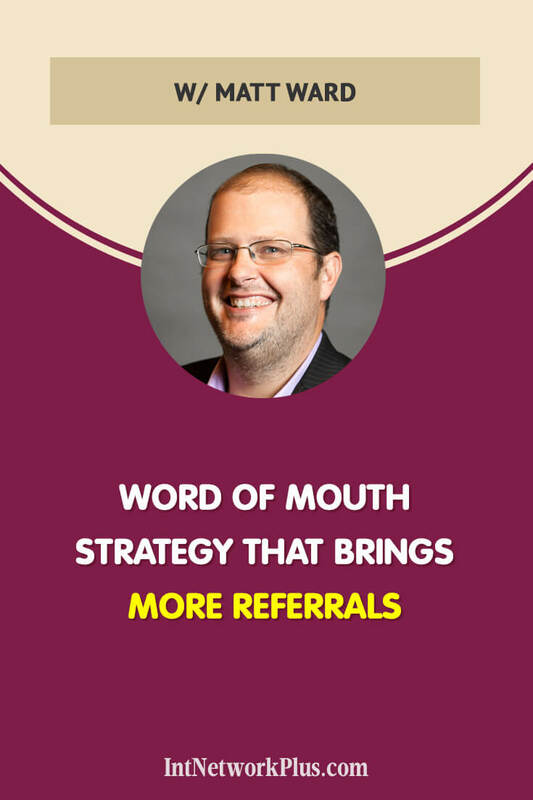 I’ve got a free word of mouth referrals Facebook group called Get More Word of Mouth Referrals. If you join that group, make sure you mention that you heard us on this podcast, because you got to answer the questions to get into the group. I’m on Twitter BreakThroughChamp. I’m just kind of all over the interwebs, as I like to say. The machine, as some of my friends call it. Because I travel a lot, so I like to stay connected that way. Feel free to reach out, shoot an email, or tweet at me, and we’ll have a conversation. That’s what I love – building relationships. Fantastic, Matt. Thank you so much. It was a pleasure to have you on the show. Thank you so much for having me, Marina. I greatly appreciate it.